Absalom, Absalom! 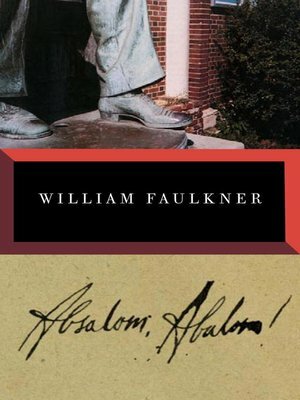 is Faulkner's epic tale of Thomas Sutpen, an enigmatic stranger who comes to Jefferson, Mississippi, in the early 1830s to wrest his mansion out of the muddy bottoms of the north Mississippi wilderness. He was a man, Faulkner said, "who wanted sons and the sons destroyed him."